of funding available to make City Centre better! Help us turn a barge into a unique arts and performance venue for York: a place for you and yours to enjoy music, art, dance and theatre or just a local ale or a cuppa and cake with us on the river! Spark:York is a totally unique project for York; transforming a derelict city centre site into a perfect space to meet friends, eat, drink and socialise in a communal space in the heart of the city. York Mystery Plays - Roll with us! A community based production of York’s Mystery Plays on pageant wagons. Working with partners across York we will create a series of dynamic public, open-air experiences through drama and music. We want all children to experience the joy of reading for pleasure and get the benefits this gives by offering them the chance to take part in the Summer Reading Challenge for free. 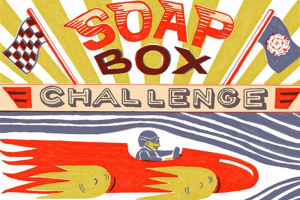 The Micklegate Run Soapbox Challenge is destined to be a daring but hilarious go-cart race across the cobbles of Micklegate – one of York’s best known streets. 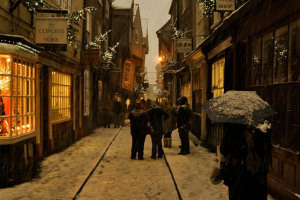 Shambles Area Traders' Association would like to make the Shambles look and feel extra special this Christmas.